Canadians must be very pleased and delighted with their Prime Minister. As seen in the news, Justin Trudeau with his family joined (for the 2nd year in a row) the march and walked the streets of Toronto to celebrate Pride Month causing the internet to swoon over such a cool world leader. Canada has indeed gone so far ahead as compared to my country in terms of respecting sexual diversity, equal rights and self-affirmation. It is sad to note that the present President of the Philippines (my president) – dubbed as the Punisher by Times Magazine and known around the globe as an iron-fisted ruler – joining a Pride march and the rainbow procession on the streets of Manila or Marikina seem very unlikely. Watching the news about Canada makes me drool… Happy Pride! A lot of folks – me included – get so excited seeing a rainbow in the sky. I know that rainbow is just but a wonderful result of a climate condition and has nothing to do with luck. 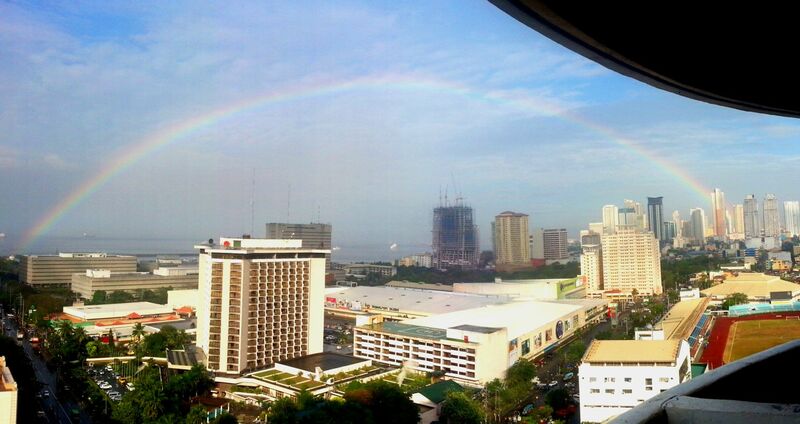 But rainbows don’t appear often that is why seeing it invokes joyful hope and optimistic promise. This is what I exactly felt when I woke up this morning, rose from my bed, looked out my window and saw this brilliant display of colors in the sky. I would like to believe that seeing it is a sign from the cosmic universe that something wonderful – may it be divine providence or good fortune – is ahead. 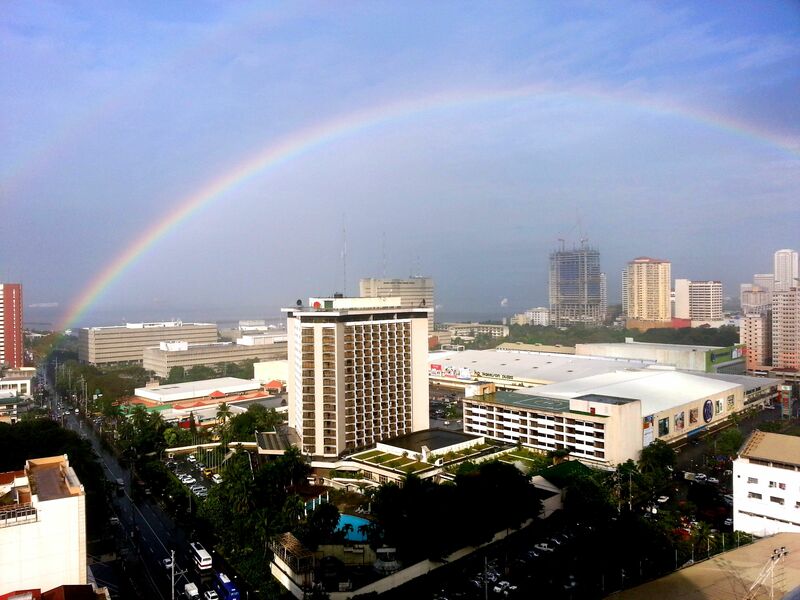 For me, seeing a rainbow has always been a delightful, ethereal and inspiring experience.